Below is a comprehensive list of hotels in Kielder Water. Use the sort links to refine your search or to find featured accommodation in Kielder Water. Many of our hotels in Kielder Water feature no booking fees and best price guarantee when booked through the Pictures of England website. To list your hotel in Kielder Water, click here. 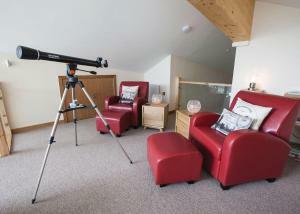 Offering a children's playground and indoor pool, Kielder Lodges is located in Kielder. Carlisle is 41 km away. Free WiFi is featured and free private..
Offering a children's playground and indoor pool, Calvert Trust Kielder is located in Falstone in the Northumberland Region, 40 km from Carlisle. Hexh.. 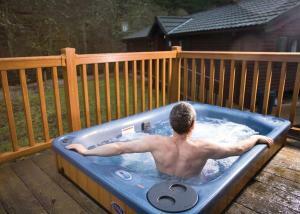 Located in Falstone, 40 km from Carlisle, Straker Lodges boasts a sauna and indoor pool. The accommodation features a hot tub. Hexham is 35 km away. 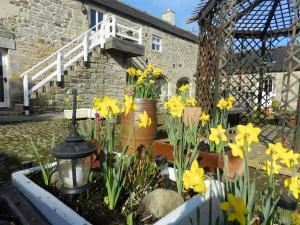 F..
Falstone Barns features individually designed self-catering accommodation located in Falstone. There is a shared garden and terrace with barbecue faci..
Woodland View is a holiday home situated in Kielder in the Northumberland Region and is 44 km from Carlisle. The unit is 42 km from Hexham. Free WiFi .. 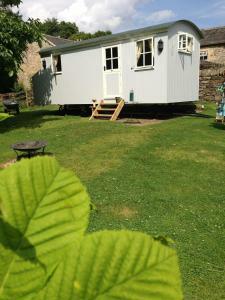 Located 44 km from Carlisle, Woodpecker offers accommodation in Kielder. The unit is 43 km from Hexham. The kitchen has a dishwasher, an oven and a t..
Set 44 km from Carlisle and 43 km from Hexham, Stable Cottage offers pet-friendly accommodation in Kielder. The property is 40 km from Gretna Green an.. 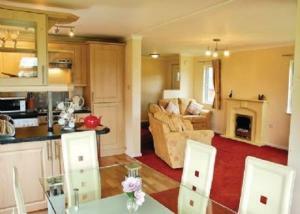 Located in Bewcastle, this holiday home is situated 34 km from Carlisle. The property features views of the city and is 49 km from Penrith. 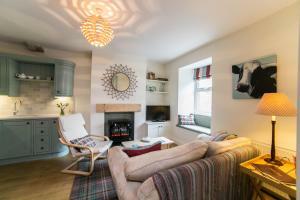 There is ..
Set in Bellingham, Cragknowe offers self-catering accommodation with free WiFi. The unit is 50 km from Carlisle. Free private parking is available on ..
Garden Restaurant and Guesthouse is located in Bellingham, 48 km from Newcastle upon Tyne and 47 km from Alnwick. Guests can enjoy the on-site restaur.. 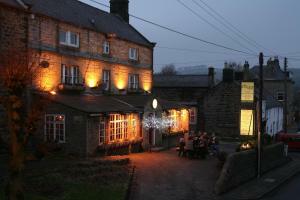 The Old Workshop offers accommodation in Bellingham, 45 km from Newcastle upon Tyne. The property is 46 km from Alnwick and features views of the gard..
Offering a bar and a restaurant, The Cheviot Hotel is located in the quiet village of Bellingham. With free WiFi access and free on-site parking, the ..
Roseneath is a holiday home set in Bellingham in the Northumberland Region and is 45 km from Newcastle upon Tyne. The unit is 45 km from Alnwick. The..
Set in Bellingham, this holiday home features free WiFi. The property is 45 km from Newcastle upon Tyne and free private parking is available. 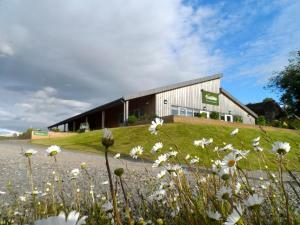 There ..
Border Forest Lodges is set in Catcleugh, 42 km from Alnwick. The accommodation features a hot tub. Hexham is 41 km from the property. The accommodat..
Demesne Farm Cottage is a holiday home with a garden, set in Bewcastle. It provides free private parking. The kitchen comes with an oven and a toaste.. 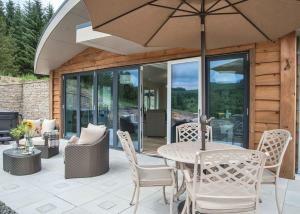 The Byrness is a holiday home situated in Catcleugh, 43 km from Alnwick. It provides free private parking. There is a dining area and a kitchen as we.. Situated in Catcleugh in the Northumberland Region, this holiday home is 48 km from Alnwick. The property is 46 km from Hexham and free private parkin..